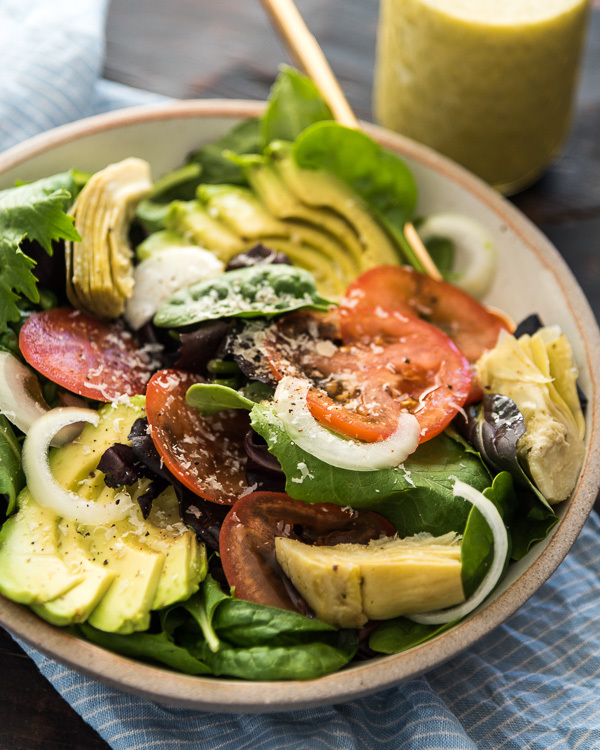 This copycat Olive Garden salad dressing requires just five minutes to whisk together and tastes even better than the original! 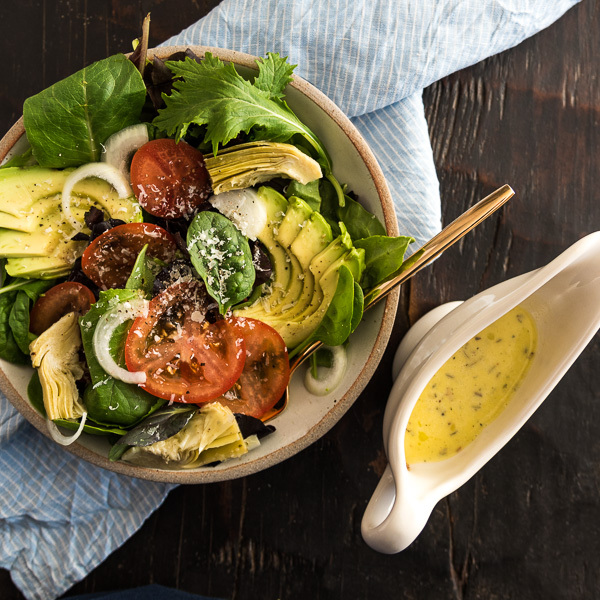 Salad dressing belongs to the category of food that you constantly buy from the grocery store, but once you’ve tried to make your own, you wonder why you didn’t start earlier. If you think Olive Garden salad dressing is so fancy, that you can only get the real deal at the restaurant, you’re wrong. In fact, it requires just a few ingredients, which you probably already have, and takes five minutes to make. The base of the dressing is a basic white wine vinaigrette. The trick is to add some mayonnaise into it, so the oil and vinegar don’t separate, and it gives you a creamy texture. The rest is simple. You need some dried Italian spice mix, which you can get at most grocery stores. A bit of honey balances the sourness of the vinegar. Some parmesan cheese is added for depth of flavor. You see, when you’re making your own salad dressing, you’re in full control and are aware of exactly what goes into your food. Plus you can choose high quality olive oil and vinegar to make the dressing taste so much more flavorful. Once you’ve mixed the dressing, you can keep it in the fridge for up to a week. Make sure you prepare extra, because you’ll want to serve salad every single day! Combine all the ingredients in a mason jar and screw on the lid. Shake the jar until the ingredients are well combined. Serve with your preferred salad, or store in the fridge up to a week.